Editor's note: This is the 6th in a series of posts by Dennis Horne, sharing quotes from his book, Determining Doctrine: A Reference Guide for Evaluating Doctrinal Truth. You can read the first post here. The first part of each post is a new introduction, placing the quotes in context with contemporary issues. The quotes that then follow are from the Determinining Doctrine book, which contains many quotes that are not readily available elsewhere or are exclusive to the book. The spiritual gift of discernment in doctrinal matters becomes increasingly important to develop. Many have let go of the iron rod, are wandering around in mists of darkness, and are ignoring Isaiah’s warning not to confuse evil with good and good with evil (Isaiah 5:20; see also 21, 23-25; and 2 Nephi 15:20-25). May I suggest three short tests to avoid being deceived…. The Book of Mormon, Brigham Young said, was written on the tablets of his heart and no doubt helped save him from being deceived…. The D&C is important because it contains the revelations which helped lay the foundation of this great latter-day work. It speaks of many things. In D&C 134:2, it states that government should hold inviolate the right and control of property. This makes reading important in a day when government controls are increasing and people are losing the right to control their own property. (2) The second guide is, What do the Latter-day Presidents of the Church have to say on the subject—particularly the living President? Brother Brigham took the stand, and he took the Bible and laid it down; he took the Book of Mormon and laid it down; and he took the Book of D&C and laid it down before him, and he said: "There is the written word of God to us, concerning the work of God from the beginning of the world, almost, to our day. And now," said he, "when compared with the living oracles, those books are nothing to me; those books do not convey the word of God direct to us now, as do the words of a Prophet or a man bearing the Holy Priesthood in our day and generation. I would rather have the living oracles than all the writing in the books." That was the course he pursued. There is only one man on the earth today who speaks for the Church. (See D&C 132:7, 21:4.) That man is President David O. McKay. Because he gives the word of the Lord for us today, his words have an even more immediate importance than those of the dead prophets. When speaking under the influence of the Holy Ghost, his words are scripture. (See D&C 68:4.) I commend also for your reading the masterful discourse of President J. Reuben Clark, Jr., in the "Church News Section" of the Deseret News, July 31, 1954, entitled: "When Are Church Leader's Words Entitled to Claim of Scripture?" Other officers in the kingdom have fallen, but never the Presidents. "Keep your eye on the Captain" is still good counsel. The words of a living prophet must and ever will take precedence…. (3) The third and final test is the Holy Ghost—the test of the Spirit. By the Spirit we "may know the truth of all things." (Moro. 10:5.) This test can only be fully effective if one's channels of communication with God are clean and virtuous and uncluttered with sin. Heber C. Kimball stated: "The time will come when no man or woman will be able to endure on borrowed light." We can tell when the speakers are moved upon by the Holy Ghost only when we, ourselves, are moved upon by the Holy Ghost. In a way, this completely shifts the responsibility from them to us to determine when they so speak. . . .
Will this Spirit be needed to check actions in other situations? Yes, and it could be used as a guide and a protector for the faithful in many situations. If we hear any principle taught from the stand that we do not understand let us seek to comprehend it by the Spirit of God. If it be not of God we have the privilege of knowing it. We are not required to receive for doctrine everything that we hear. We may say—"I do not know whether this is true or not, I will not fight it, neither will I endorse it, but I will seek knowledge from God, for that is my privilege, and I will never rest satisfied until I have obtained the light I require." If you hear a doctrine that does not agree with your feelings, or that you do not believe, take this course; do not reject nor endorse hastily, without knowing or understanding. By taking this course you will develop the principle that God designs we should possess, and we will thus become a wise and understanding people, for we will be based on the Rock of Revelation. In most instances, alternate voices are heard in the same kinds of communications the Church uses to perform its mission. The Church has magazines and other official publications, a newspaper supplement, letters from Church leaders, general conferences, and regular meetings and conferences in local units. Similarly, alternate voices are heard in magazines, journals, and newspapers and at lectures, symposia, and conferences. We learn from these scriptures that liberalism, so-called, which seeks to interpret, change, or expand revealed truth, is not in harmony with the divine will of God. We can easily understand and accept the fact that the things of man are understood by the spirit of man, but do we also understand and accept the fact that the things of God can only be understood by the Holy Ghost? If holy men of God spake as they were moved upon by the Holy Ghost, then prophecy and the revelations of God to man are of no private interpretation. The Book of Mormon exposes the enemies of Christ. It confounds false doctrines and lays down contention. (See 2 Nephi 3:12.) It fortifies the humble followers of Christ against the evil designs, strategies, and doctrines of the devil in our day. The type of apostates in the Book of Mormon is similar to the type we have today. God, with his infinite foreknowledge, so molded the Book of Mormon that we might see the error and know how to combat false educational, political, religious, and philosophical concepts of our time…. What do you do with the concept that all 15 men generation to generation knew by inspiration that those of color had been less valiant in the pre-mortal life and that inter-racial marriage was sin when today's leaders disavow those teachings as false racist theories? In other words if this men can not discern truth, even when they are so sure they are right, what hope do we have to be able to do it with any certainty we are getting it right? If you read the post, I think your question has been answered. Particularly the first (longer) quote from Ezra Taft Benson. *Don’t make false/wrong assumptions/conclusions like yours. *Heed inspired counsel: “The Lord expects us to seek for harmony and agreement in the scriptures and among the Brethren rather than for seeming divergences of views.... The unfortunate complex in some quarters to pounce upon this bit of information or that and conclude that it is at variance with what someone else has said is not of God.... The Spirit of the Lord leads to harmony and unity and agreement and oneness. The spirit of the devil champions division and debate and contention and disunity" (Bruce R. McConkie, open letter to “Honest Truth Seekers,” July 1, 1980). 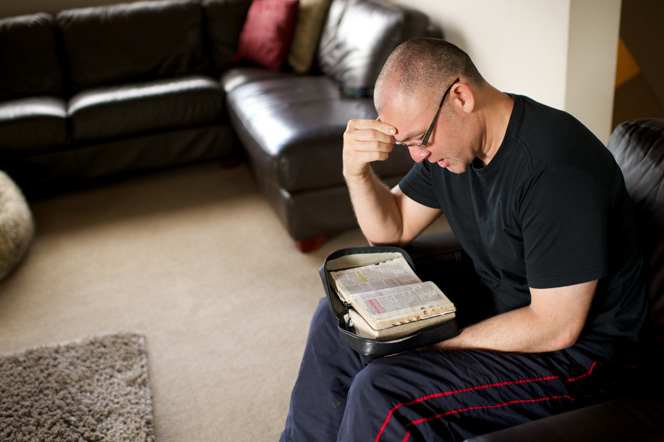 *Hold onto the scriptures with a grip of iron as though your salvation depended on them, which it does. First point: the scriptures - "dark and loathsome" agrees with Brigham Young.